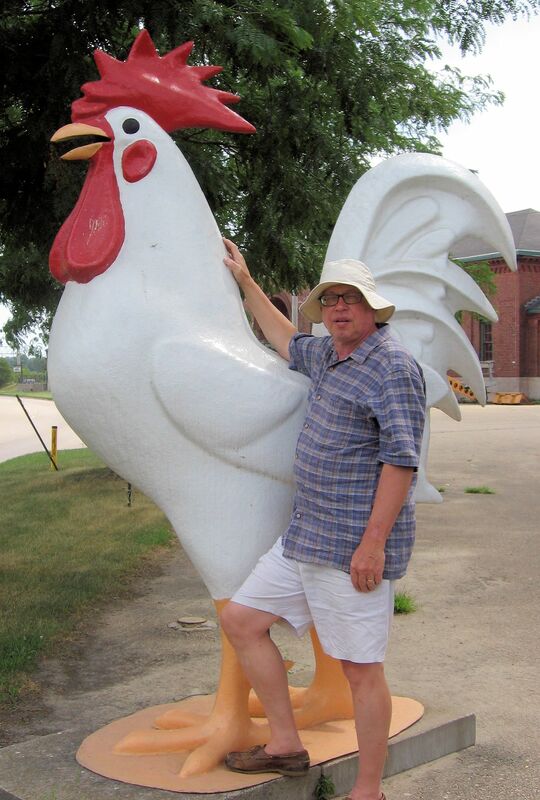 Clinton Iowa Chicken – The Home of My "Big Things"
We made our way through Minnesota to the Mississippi River and took a right planning to follow this Mighty River down to the Quad Cities. Along the way we were passing through Jan’s home town of Clinton, Iowa. This city was a treat, much larger than I imagined with a nice riverfront park. Just south of downtown we spotted this Big Chicken. While he is a pretty common variety of Big Chicken he does advertise Angelo’s Pizza & Pasta at the corner of 11th Ave S and S 4th Street. Angelo’s was closed when we stopped or I might have stopped for a slice.